The Throbbing Fractal Optical Illusion is a very trippy illusion. This image has become fairly famous on a lot of black light posters. When you stare into this star vortex it appears to be throbbing or pulsating; the throbbing effect is caused by the order of the colored over lapping layers. 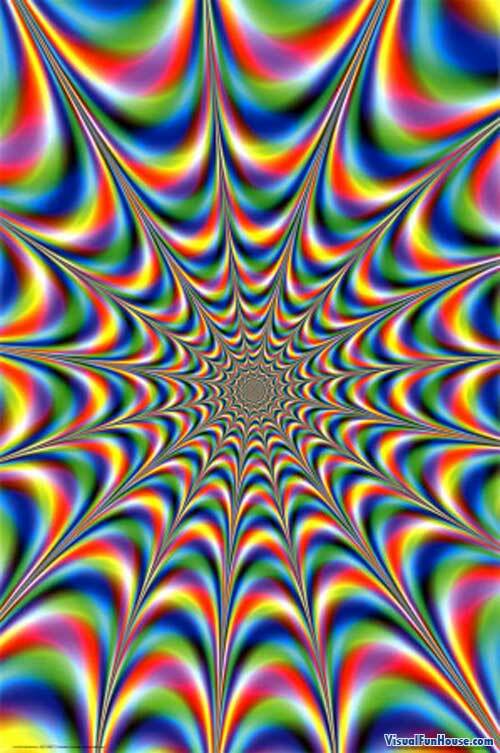 This causes your eyes to jump back and forth rapidly giving it the pulsating or throbbing illusion.